Trusting faith: One of the replica images of the Divine Mercy vision seen by St Faustian Kowalska. APRIL 30 in the new millennium went down in history as the happiest day in Pope John Paul II’s life. The pope had just declared a fellow Polish Catholic a saint, and he made a surprise announcement, offering the universal Church a new feast day, to be celebrated every second Sunday of Easter. This new feast was at the request of Christ himself, written in the diary of a young Polish nun. Helen Kowalska was one of 10 children born to a poor Polish family, and she felt a calling to religious life after receiving a vision of the suffering Christ. After being rejected from numerous orders, Sr Faustina was accepted into the Congregation of the Sisters of Our Lady of Mercy, aged 20. 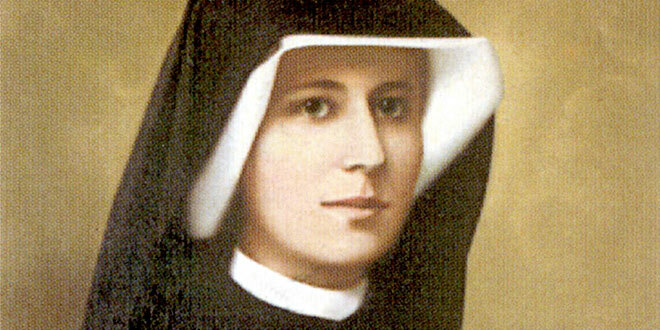 On February 22, 1931, about five years into her profession, Christ appeared to Sr Faustina in her small cell. 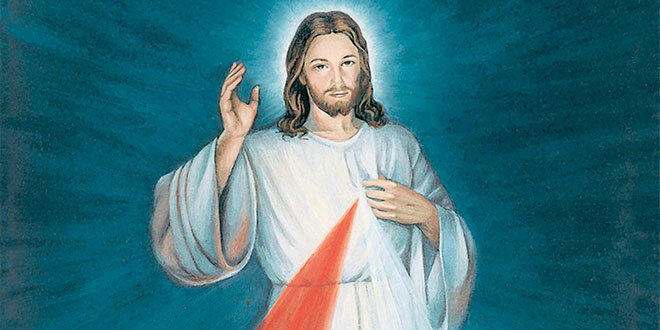 The vision of Christ appeared to have two rays of light beaming from his breast, one red and the other pale. Instructed by her spiritual director, Sr Faustina recalled her visions and conversations with Christ in a diary. “In the evening, when I was in my cell, I became aware of the Lord Jesus clothed in a white garment,” Sr Faustina wrote. “One hand was raised in blessing, the other was touching the garment at the breast. From the opening of the garment at the breast there came forth two large rays, one red and the other pale. Jesus asked Sr Faustina to paint the image she had seen with a small inscription: Jesus, I trust in You. “I desire that this image be venerated first in your chapel and then throughout the world,” Sr Faustina wrote. Among the other requests detailed in Sr Faustina’s 600-page diary includes Christ’s desire to have a Feast of Mercy on the first Sunday after Easter. “Yes, the first Sunday after Easter is the Feast of Mercy, but there must also be deeds of mercy, which are to arise out of love for Me,” Sr Faustina wrote. Polish saint: St Faustina Kowalska, the original promoter of the Divine Mercy devotion. As well as spreading the image of Divine Mercy, Sr Faustina was asked to promote a new prayer, the Divine Mercy chaplet, which Christ said would grant grace to “the most hardened sinner”. He also said 3pm on every day would be an “Hour of Mercy”. Sr Faustina died on October 5, 1938, in Krakow, Poland, before she could see the devotion to Divine Mercy spread to the world. But it did, with the help of Pope John Paul II, who asked the entire Catholic Church to reserve the second Sunday of Easter as Divine Mercy Sunday. “It is important then that we accept the whole message that comes to us from the word of God on this Second Sunday of Easter, which from now on throughout the Church will be called ‘Divine Mercy Sunday’,” Pope John Paul II said in his homily for the canonisation of St Faustina Kowalska. Pope John Paul II died on April 2, 2005, on the eve of his favourite feast day, Divine Mercy Sunday. The two Polish saints and their quest to offer Christ’s gift of mercy never ended when they died. Between December 8, 2015 and November 20, 2016, Pope Francis called an extraordinary jubilee with the title, the Year of Mercy. At a prayer vigil on the eve of Divine Mercy Sunday last year, Pope Francis thanked Pope John Paul II and St Faustina for their response to Christ’s request for the Divine Mercy.